Biking and walking provide healthy, affordable ways to get around. Active transportation helps to get people out of their cars by providing more transportation choices. This improves air quality and provides for recreational and commuting options that enhance residents’ quality of life. Active transportation facilities such as trails, sidewalks, and bike lanes can also improve connections to public transportation services, such as bus and rail. Supporting active transportation is consistent with many of the Wasatch Front Regional Council’s (WFRC) Regional Transportation Plan (RTP) goals. The 2015-2040 RTP addresses the existing active transportation network, as well as those routes that are anticipated as part of the proposed future network. Planning for active transportation is accomplished through two WFRC plans, including the 2015-2040 Bicycle Base Network (all local and county plans) and the 2015-2040 Regional Priority Bicycle Network. Utahns, planners, elected officials, and many other key community leaders in the region recognized a need for a distinct regional priority bicycle network, and working towards this common goal the priority network was born. Representatives from the Utah Department of Transportation (UDOT); Utah Transit Authority (UTA); Mountainland Association of Governments (MAG); Salt Lake, Davis, Box Elder, and Weber counties; and WFRC came together through a collaborative effort to develop the regional priority bicycle network. The 2015-2040 Regional Priority Bicycle Network includes many critical, regional connections and supports local communities. This growing network increases access and gives the current user the ability to capitalize on more routes using connections, encourages additional residents to utilize the system, and enhances the safety of bicycle and pedestrian commuters, as well as recreational users. WFRC participates in many active transportation planning efforts, understanding that travel choices are critical to maintaining and building an efficient and integrated transportation system for the region. Overall, 2015-2040 RTP places a growing emphasis on active transportation, considering access, convenience, and safety of bicycle and pedestrian path users a major priority among the bike plans, as well as integrating facilities within roadway and transit projects. For additional information regarding active transportation, please contact Hugh Van Wagenen. The Golden Spoke network offers over 100 miles of safe, connected, paved trails from Ogden to Provo, becoming the longest continuous, multi-use urban trail network this side of the Mississippi, cementing Utah as a national leader in outdoor recreation and active transportation. How well are we connecting communities with active transportation? 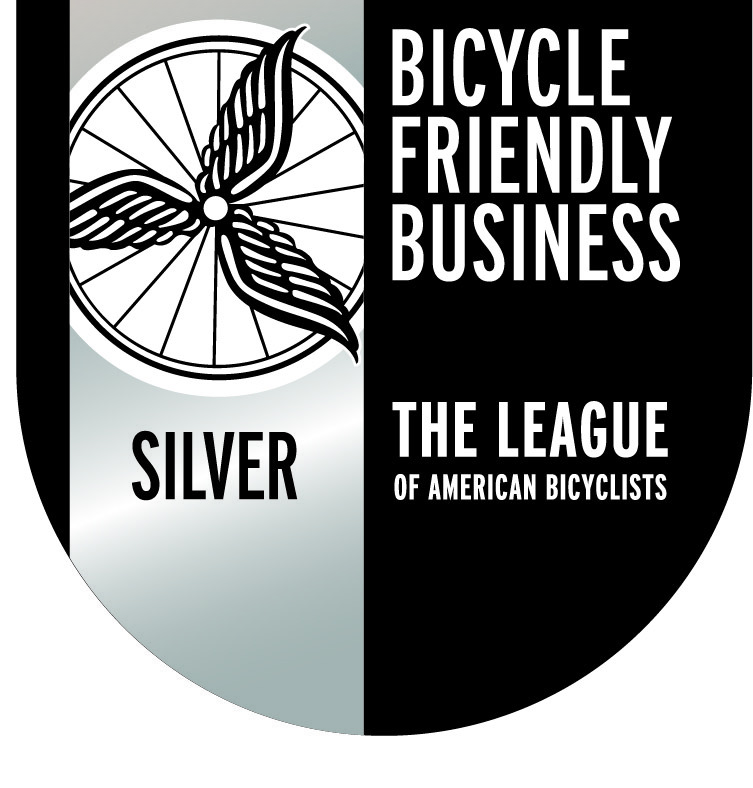 The Wasatch Front Regional Council has been recognized by the League of American Bicyclists as a Bicycle Friendly Business, joining more than 1,200 other businesses from across the country who have made a concerted effort to promote cycling with their employees, as well as accommodate bikes in the workplace.